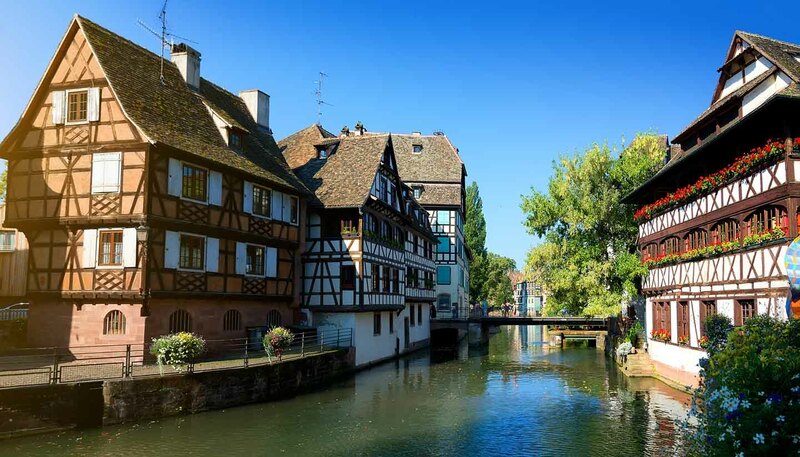 Set on the Franco-German border, and at various times a part of both countries, Strasbourg has more claim than most to be the symbolic heart of modern Europe. Over the centuries, the culture of the city and of the entire Alsace region has been shaped by Germany as much as by France. The result is a fascinating blend of influences on everything from the architecture and cultural scene to the language and food. And despite past hostilities, Alsace thrives thanks to the strong collaborative links between the two countries. The most potent symbol of this is the Jardin des Deux Rives just east of Strasbourg, an international 60-hectare (148-acre) garden straddling the border and the Rhine, linked by a friendship bridge. Today, Strasbourg mixes medieval charm with a dynamic, contemporary and international feel. At its heart is Grand Île, a UNESCO World Heritage-listed island in the River Ill. It's a fortified medieval town packed with ancient relics, from Place Kléber (the main square) to Place Gutenberg. This area is lively throughout the year, from the warm summer months when everyone congregates on the café terraces, to December, when stallholders sell Glühwein and festive handicrafts at Christmas markets. At the centre of the island, soaring over everything, is the Gothic Notre-Dame Cathedral, notable for its pink sandstone façade and unique tower. And nearby La Petite France is the medieval quarter's stunning crown jewel. Its picturesque bridges and canals, half-timbered houses and charming narrow streets contrast sharply with the modern clean-cut lines of the European institutions in the northeast of the city. Culturally, Strasbourg has an Opera House, National Theatre and a Conservatory of Music, and hosts various music and cinema festivals. Academically, it has one of France's largest universities, with more than 42,000 students, while environmentally it welcomes cyclists and pedestrians alike, and has an extensive public transport network. That network extends well beyond the urban area, and TGV high-speed trains connect Strasbourg to other cities across Europe, reaffirming its pivotal role as a capital of Europe, and a guardian of human rights.